Herbal Therapy — expert extension to the VedaPulse Professional. It is aimed at creating a constitutional herbal composition for specific syndromes of Ayurvedic, Tibetan and Chinese medicines, and is based on pathophysiological approach in modern clinical herbal therapy. Individual selection of herbs, based on constitutional (Vikruti) aspects of the body. Selection of the medicinal herbs based on "nosological filter" in case of certain conditions (more than 160 diseases and morbid conditions listed according to the International Classification of Diseases — ICD-10). Detailed description of formulation and administration method of crude herbs (decoction, infusion, teas, powders and etc.). Regulation of the individual dose (including biorhythms and moon cycle). Creation of an individual list of herbs that are not recommended for use (have attributes of material nature – Guna, which increase Dosha imbalance). Creation of herb rating (determine the power, with which energy of the herb will influence on energy of the patient for correcting the pathological state). Separation of herbs into Western and Eastern (for convenience of specialists). Automatic creation of the conclusion (application recommendations of the chosen herbs for the client). 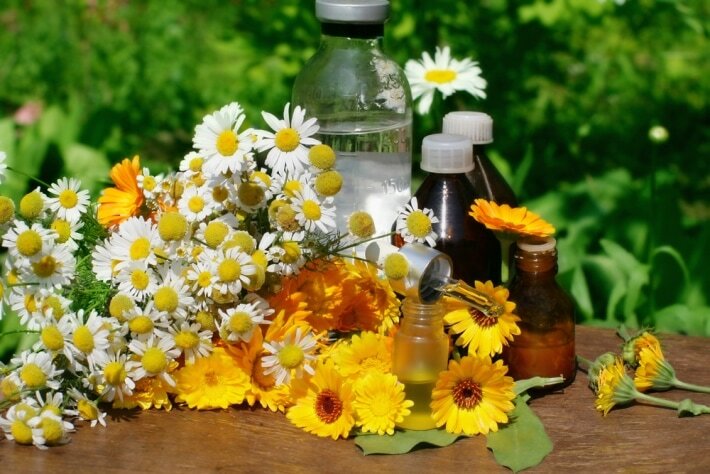 Expertise and reference database for specialists in the field of herbal therapy. Creation of a constitutionally balanced (individual) herbal composition, based on Vikruti and client’s current condition. Authors of this program (scientists, doctors, specialists of traditional healing systems) set a goal of combining the very best of experience accumulated by mankind in the field of herbal therapy. Сonsequently they have created the algorithms, that combine the principles of pathophysiological approach of clinical herbal therapy with constitutional and syndromic approach of the oriental healing systems, based on mathematical description of the medicinal plant constitution. 1. Individual selection of herbs based on constitutional (Vikruti) aspects of the body. After a 5-minute observation VedaPulse defines the client’s current constitution taking into account his physiological tendencies. Then the program algorithms compare the client's constitution with the constitution of medicinal plants in the software database and gives a specialist the list of necessary herbs. Every medicinal herb in the program database has its own unique formula, which is created on the basis of analysis of primary sources (Ayurvedic herbal therapy: Dravyaguna, Bhavaprakasha; Materia Medica of Chinese Medicine), where plants properties are described. Rasa –is a term generally associated with the "taste" of the herb. There are six basic tastes (sweet, sour, salty, spicy, bitter, astringent), each of which has its own physiological effects. The dominant taste is related to the presence of certain herb's pharmacological components that have classic effects from the perspective of clinical herbal therapy. Guna– twenty qualities of material nature. They are formed in plants due to the dominance of one or more primary elements and their composition (Ether, Air, Fire, Water and Earth). These qualities create pairs of opposites, such as drought/humidity, heaviness/lightness. Each guna shows the trend of changes in physiological functions which appears after taking the herb. For example, drought will define herb’s effect associated with inhibition of secretion from exocrine glands. Vipak– «taste after digestion». This is a complex mechanism, which describes conversion of the herb’s qualities and its main therapeutic effects to the body after fermentation during digestion process. This transformation process comes down to three basic vipak options – spicy, sweet, sour. This indicates the dominant pharmacological effect, that the herb will have in case of its long-term use. Viriya – bioenergy of plants. Each herb has the ability ‘to warm’ (enhance metabolic processes) or ‘to cool’ (slow down the metabolic processes). There are also intermediate options, close to a neutral effect. Viriya – one of the main qualities of the herb, which determines the vector of its pharmacological effect on the person with a certain constitution. Prabhava – unique plant feature, which can not be described by the above qualities. Typically it describes one or more systemic effects which a plant has, e.g. adaptogene. Rogagnata is a plant characteristic indicating the syndromes and diseases, in which it can be effectively used. Doshagnata is a plant characteristic, showing the complementarity with the patient's constitution. VedaPulse algorithms take into account all of these characteristics to make recommendations on herbal therapy after an assessment. This greatly simplifies the work of professionals, who just begin to learn the basic principles of various traditional systems of healing, including Ayurveda, Traditional Chinese Medicine and Tibetan medicine. As mentioned above, each herb has its own unique constitution which determines its therapeutic qualities. Oriental herbal therapy itself is a part of allopathic branch of medicine. This means that a practitioner assigns plants with the qualities opposite to the client's constitution in order to correct his or her pathological syndrome. The plants, which are homological (similar) to the client’s constitution, will worsen health problems (by strengthening constitutionally determined processes that can lead to imbalance of Doshas). Therefore, the VedaPulse puts these herbs in a separate "red" column to warn specialist about their use. It is important to mention that these herbs are not prohibited and can be used under certain conditions (especially in complex herbal combinations), but their effect is similar to the effects of homeopathic medicines: treating by similar, they can amplify the negative trends. Since herbs can be taken not only as a ready-made products from manufacturers, such as tablets, capsules, teabags, but may also require special knowledge on how to use them, in Herbal therapy module, the preparation method and use of medicinal plants for treatment have been described in detail. For the first time in the world, we managed to create the quantitative model that mathematically describes the interaction between human and herbs energies. The Software algorithm is able to calculate the power, with which the herb’s energy will have an effect on the client's energy in order to correct the pathological conditions. Thus, the list of recommended herbs is ranked additionally, and each herb receives its own rating. It should be noted, that this power rating is not constant, it changes following the changes, occurring in the client’s body. This can be seen in the dynamics of the repeated assessments. It allows selecting medicinal plants even more individually. Individual selection of herbs is based not only on constitutional correlation (though it is the determining factor), but also on the evaluation of the client's current functional state, which is determined after a 5-minute assessment on VedaPulse. After assessment the mathematical model of the client's functional state is formed. This model is based on so-called ‘organs pulse evaluation’ or ‘state of regulatory functional systems’ in terms of physiology. Consequently, the program algorithm additionally highlights the herbs that are needed in the current functional state of the client. Clinical herbal therapy assigns medicinal herbs based on their pharmacological composition and pathophysiological effect. VedaPulse takes into account all recent trends in the description of medicinal plants according to Western herbal medicine. For this purpose, we have added the possibility of additional ranking of medicinal plants based not only on their constitution, but also on the effect they have on specific conditions, verified by Western medicine. Currently the program is able to take into account more than 160 diseases and pathological conditions according to International Statistical Classification of Diseases and Related Health Problems ICD-10. This expert database allows a specialist to gain access to the full description of the plants properties from a standpoint of clinical herbal therapy, Ayurvedic medicine and Traditional Chinese Medicine. Currently this section of Herbal Therapy module is being developed. For convenience of experts with different competences we divided medicinal plants into two large blocks: Western herbs and Asian herbs. It optimizes the time of a specialist when creating professional and constitutional herbal composition and selecting herbal therapy program in general. For convenience of experts, we have automated a number of functions, simplifying the creation of "paper" reports for clients to only using the "hot" keys. This saves the time of the consultation and allows quickly printing the necessary recommendations.